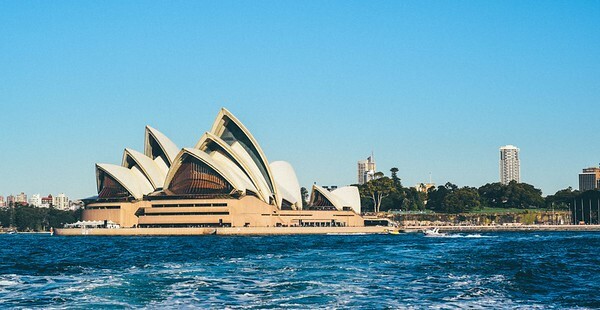 Australia is not only known for its beautiful beaches and stunning road trip opportunities (Check out our tips for driving from Sydney to Melbourne), but it also has some very popular cruise ports. For those starting off or ending their cruise in beautiful Sydney, taking a few days to explore the area is well worth it. To see the best of the best, guest contributor, Leslie Connor from Empty Nesters Travel Insights, who calls NSW Australia home, is here with an Active Boomers Guide to Sydney. Cruising from Sydney, you are about to sail through the heads of one of the most beautiful harbors in the world. 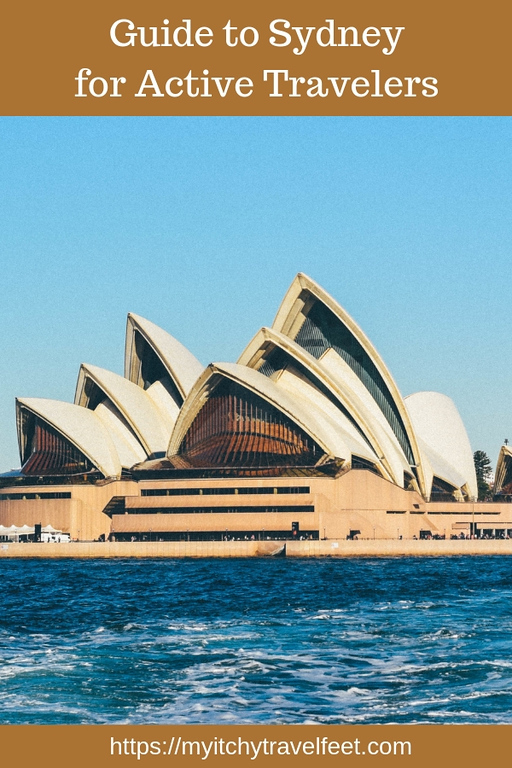 The Sydney Harbour Bridge, Circular Quay and the Opera House are probably top of your “must see” list when visiting Sydney. Whether you only have a day before you embark on your cruise, or are planning a couple of day’s stop-over, there is much for active boomers to experience in Sydney. One of the most popular sites in the world! Before you head off to explore, it is important to be aware that Sydney has two cruise terminals. Check which terminal your cruise will be leaving from to avoid arriving at the wrong terminal and finding that your ship is half an hour away. Larger ships, who are unable to fit under the Sydney Harbour Bridge will leave from the Overseas Passenger Terminal at Circular Quay. This terminal is centrally located within easy access of Sydney’s major attractions, with plenty of restaurants and accommodation and public transport nearby. Parking is not available at OPT, with a maximum 3 minute drop off time. Luggage can be dropped at the terminal from 8.30am, allowing you all day to explore the city. Sydney Harbour Bridge has bike and walking paths, so it’s a great place to check out the Opera House view. Smaller ships will dock at White Bay, which is 6 kilometers or 4 miles from the CBD. This is in a residential area, with no accommodation, restaurants or attractions nearby. There is no foreign exchange available at this terminal and it is serviced only by a small refreshment kiosk. Rather than wasting your day sitting around at the terminal, you are much better to spend the day exploring the city, before taking a taxi to the terminal. 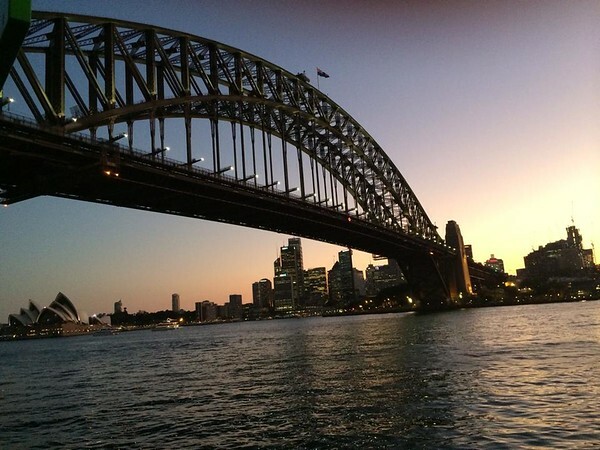 You will find luggage storage at either Circular Quay or Central station, which you will need to pre-book. There is no public transport to White Bay, however most cruise lines will offer a shuttle service, as do most hotels. A taxi is your only other transport option. Do be aware that during peak traffic, it can take up to half an hour to travel from the CBD to White Bay. When researching, you will find buses to the area. However on cruise days, the main road is closed and you will have a two kilometer walk from the bus stop to the terminal with your luggage, which is not really an option. If your cruise is leaving from White Bay, it is a very good idea to pre-book either a shuttle or taxi for disembarkation day. Unlike OPT, you can experience a considerable wait for either a taxi or shuttle to the airport on disembarkation if you have not pre-booked. Sydney has an extensive bus, rail, light rail and ferry service., which makes it very easy to navigate the city. The Opal Card is the most cost effective means to use public transport in and around Sydney if you are planning to stay a few days It can be pre-paid depending upon how many trips you wish to take. The Hop on Hop off Bus is $55 per day and is a great way to get an orientation of Sydney. You can also package entry into popular attractions to save money. Getting from the airport. Most hotels offer a free airport shuttle service. The Sydney Airport Shuttle service is $15 per person. When visiting Sydney, we always stay in Darling Harbour. We usually choose either the Four Points by Sheraton, or the Novotel, which are right on the waterfront. Here you are within easy distance of all the major city attractions, with many great restaurants and activities right at your hotel door. Alan and Donna stayed in the elegant Four Seasons right before their Seabourn Odyssey cruise through the South Pacific. Highly recommended! A two block walk up King Street will bring you to the city center from either hotel. Both OPT and White Bay cruise terminals are an easy taxi or shuttle ride away. The Glenmore Hotel at the Rocks, near Circular Quay, where you can enjoy a traditional pub meal in one of Australia’s oldest hotels. The Fortune of War, also at “The Rocks” provides great bistro meals. Watson’s Beach is a great place to have a nice lunch. Doyles at Watson’s Bay is Sydney’s famous seafood restaurant, only a short ferry ride away from Darling harbour. In Darling Harbour itself you will find a wide range of dining options, with a selection of casual bistros and fine retaurants around the harbour. Take a walk to nearby China Town, where you can enjoy an authentic Asian Meal or Yum Cha. For a mememorable pre-cruise dinner, you can’t go past the revolving restaurant at the top of Sydney Tower. Enjoy fine dining as you watch the city lights glide by. Darling Harbour has a lot of things to do and see. View some of Australia’s amazing sea life at Sea Life Sydney Aquarium. Enjoy a range of harbor cruises, from a morning sightseeing, to luxury lunch and dinner cruises. View of Sydney Harbour from Bradleys Head Walk. Wander around Circular Quay and the Opera House. People watch around Circular Quay. Enjoy a range of street performers, watch the boats on the harbour and relax in one of the many cafe’s. 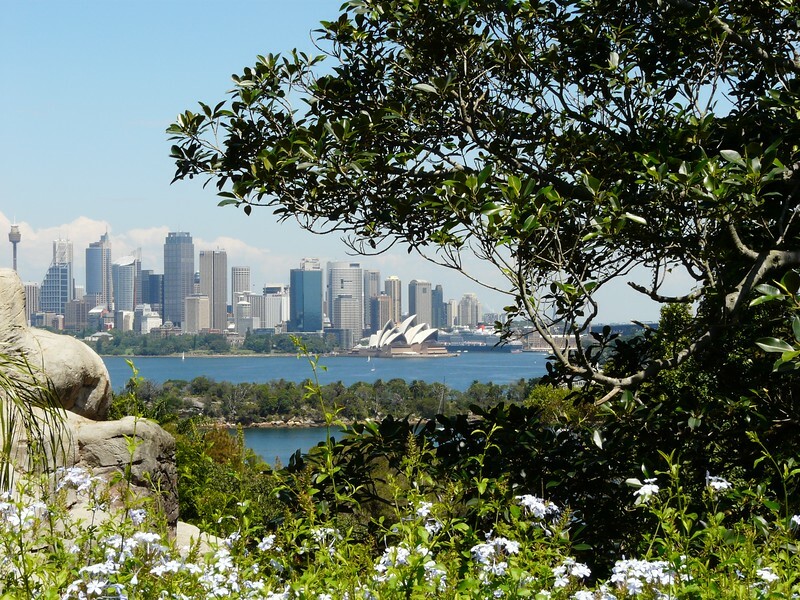 Stroll through the Royal Botanical Gardens around to Mrs Macquarie’s Chair for magnificent views of the harbour. Convict laborers carved the chair out of the rock in 1810 for the wife of the Governor. Enjoy a picnic lunch in the gardens. Take a ferry to Taronga Zoo and get up close with some of our native wildlife. Located in harborside Mosman, the zoo holds more than 4,000 exhibits. 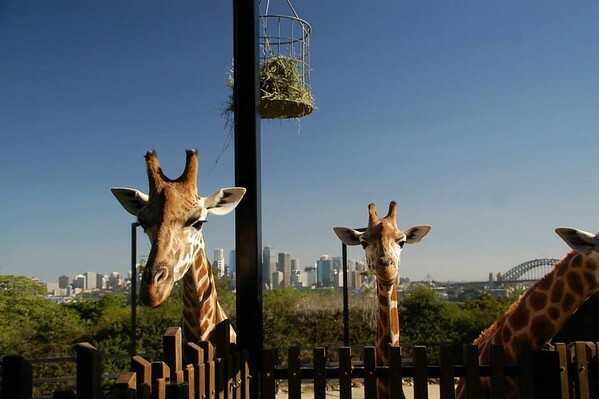 Visit the locals at Taronga Zoo! From the Taronga Zoo wharf, you can enjoy a two hour return walk along the foreshore to Chowder Bay on the Bradley’s Head Walk, Well formed pathways will take you along the harbour foreshore to Georges Head and the old canon placements guarding middle harbour. Stroll around Circular Quay to the Sydney Opera House. Enjoy the spectacular harbor views, take a tour if you have time, or even enjoy a show and dinner at one of the harborside restaurants. Do look out for the fur seal who suns himself on the Man-o-War steps next the to Opera House. 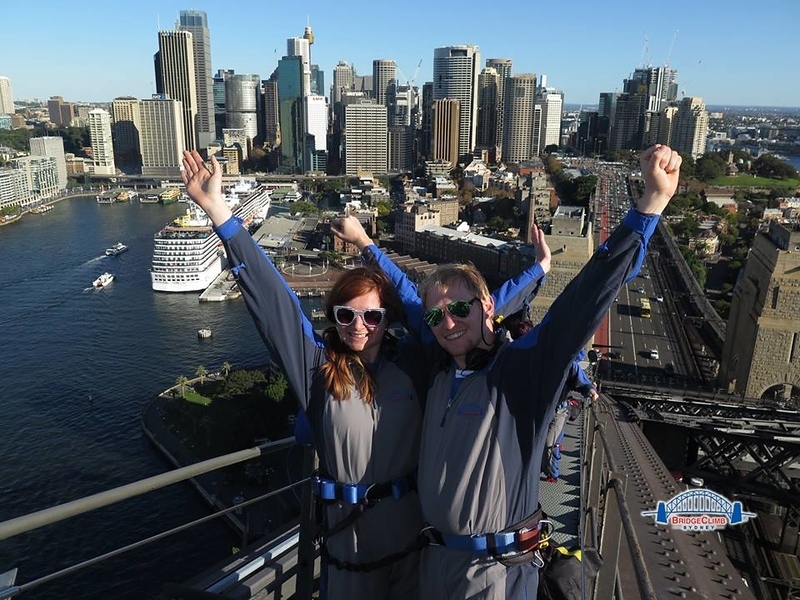 More adventurous boomers can climb to the top of the Sydney Harbor Bridge for panoramic views over Sydney. All the equipment is provided. You will be provided with a special weather proof suit and will be anchored on to a safety rail as experienced climbers guide you up “The Coathanger” to 134metres above sea level. The full climb takes three and a half hours, however shorter climbs are available. My daughter and partner climbing the bridge. If you choose to do the climb, a photo is included in your ticket price. If you are 75 years or older, or have existing medical conditions, you may require a doctors’ certificate of fitness. You will need rubber soled shoes and sunglasses, as well as drinking plenty of water before the climb to ensure you stay hydrated. The tower offers beautiful views of the city! 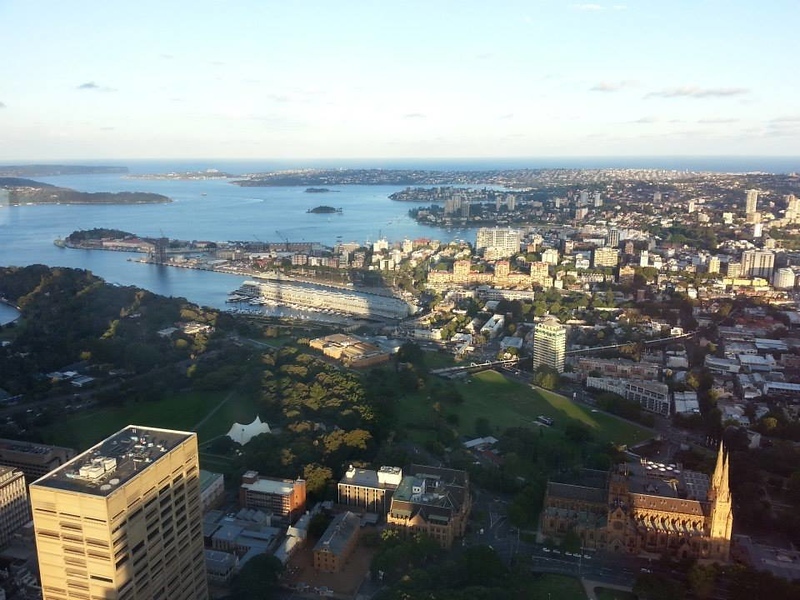 Take the lift to the top of Sydney Tower, the highest point in Sydney, some 250 meters above the city streets. The observation deck gives you 360 degree views over Sydney and beyond and is the best place to enjoy a spectacular Sydney sunset. You can also enjoy a luxury meal in the revolving restaurant. The Overseas Passenger Terminal is in the historic Rocks area, the birthplace of Australia. Stop at one of the old pubs for a schooner of beer and a counter meal. As you wander the cobblestone streets you will find market stalls, modern art galleries and smaller museums. Susannah Place Museum is a terrace of four houses built by Irish immigrants in 1844. It tells the story of ordinary working class people. Open 2-5 daily. The Justice and Police Museum in the Water Police station is another must-see. Adjacent to the OPT, it tells the story of colonial criminal history. Visit 1890’s holding cells, charge room and courts and browse through mugshots and crime scene photos spanning more than a century. From the Garrison Church, walk up to Observatory Hill for a different view of Sydney Harbour. Located in the center of Sydney, Hyde Park provides 16 hectares of parkland, leafy trees, fountains and a place to escape from the busy city centre. Here you will also find The Anzac War Memorial, opened in 1934 to commemorate those who served in the First World War. Sculptures adorn the wall in remembrance of the servicemen, nurses, doctors and aviators who served. The dome of stars features one star for each life lost during the war. The Pool of Reflection and Well of Rembrance provide places for quiet contemplation. Sydney Town Hall in George Street is the largest and most ornate 19th century civic building in Australia. The magnificent grand organ in the concert hall was installed in 1890 and is used for concert recitals throughout the year. You will also find a number of significant portraits, including a large portrait of Queen Victoria hanging in the southern stairwell. The domed Queen Victoria Buildings nearby were completed in 1898, replacing the former markets on the site. Refurbished as a major shopping complex and function center, you can still see the inner glass dome and the magnificent stained glass window as well as reconstructions of the original cage lifts. The QVB is located in George Street, in the heart of the CBD. George Street and Pitt Street, one block up are the place to visit for a little pre-cruise retail therapy. Explore Hyde Park Barracks in Macquarie Street, one of Sydney’s earliest colonial buildings. Over the course of its history it served as convict accommodation,an immigration depot for female immigrants and was later used as courtrooms and government offices. 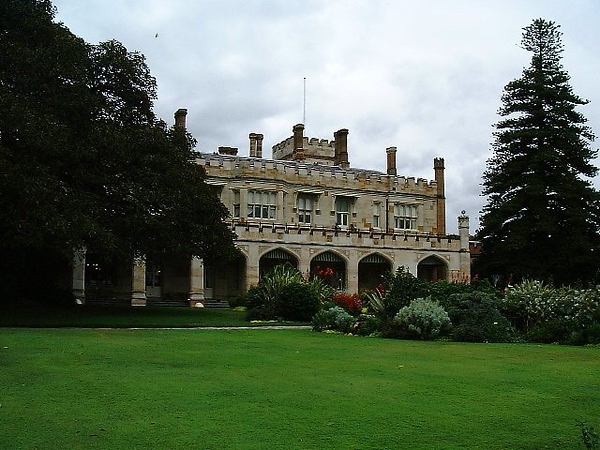 Visit the Government House if you have the time! Sydney is renowned for beautiful beaches, many of which are readily accessible from the Sydney CBD. If you are keen to experience a little of our famous sun, sand and surf, you only need to hop on a ferry or train. 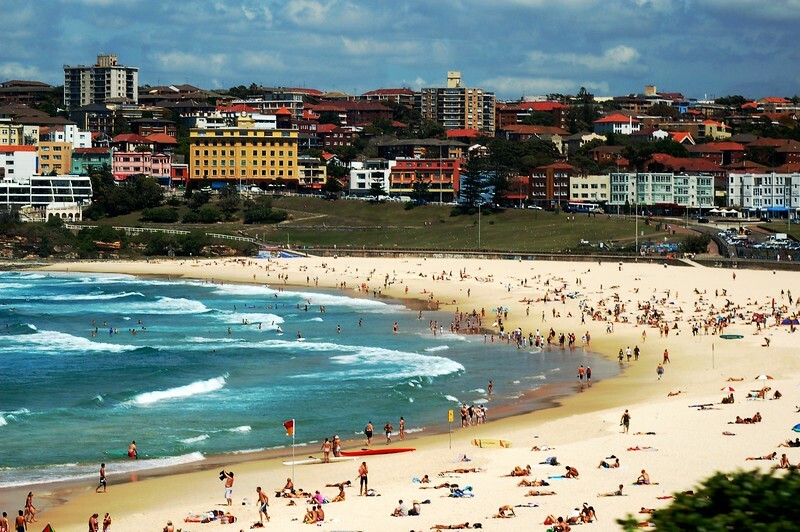 As one of the most popular beaches in the world, Bondi beach definitely deserves a stop! 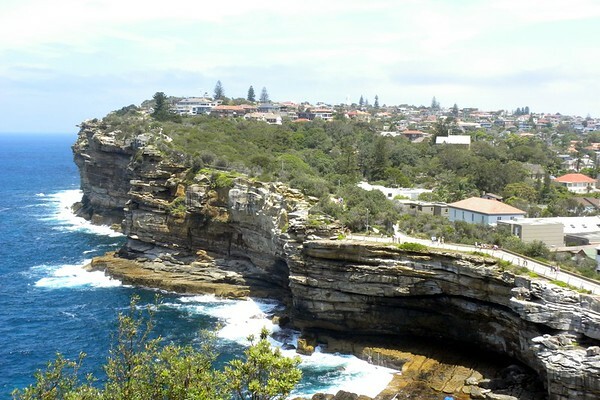 Take a ferry to Watson’s Bay, have a dip at the beach and wander up to the famous “Gap” cliff face. Walk along the south head heritage trail, past Lady Jane nudist beach and the Hornby lighthouse. From here you can spot whales between May and November. Enjoy fish and chips at the famous “Doyle’s Restaurant” or a counter meal at the waterfront hotel. 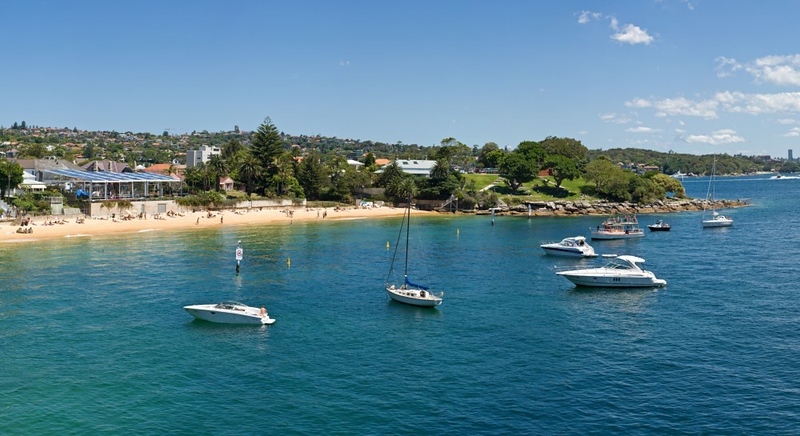 Take a ferry to Manly Beach and the historic Manly pier for a swim and a stroll along the promenade. 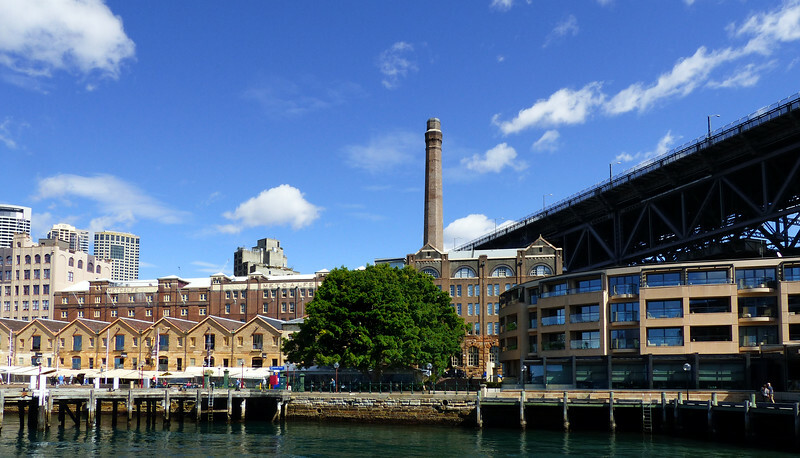 Built in 1936 on the site of the original 1855 wharf, it is one of two original wharves remaining in Port Jackson. Today you will find a range of bars, restaurants, shops and boat hire outlets in the redeveloped pier. Take a train from Town Hall Station to Bondi Beach. Enjoy a swim in the iconic surf – just remember it is important to swim between the flags. Have a stroll along the century old Bondi Pavilion, which has become a national icon. Visit the Art Gallery of NSW. Located adjacent to the Botanical Gardens. The gallery holds an expansive collection of Australian, Aboriginal, European, Asian and contemporary artworks. On the corner of Macquarie Street and Shakespeare place you will find the Mitchell Library and the State Library of NSW. Here you will find a range of exhibitions and events. The Sydney Museum of Contemporary Art houses over 4000 works from contemporary and aboriginal artists. Relax in the rooftop cafe to enjoy some great views of the Sydney Opera House. 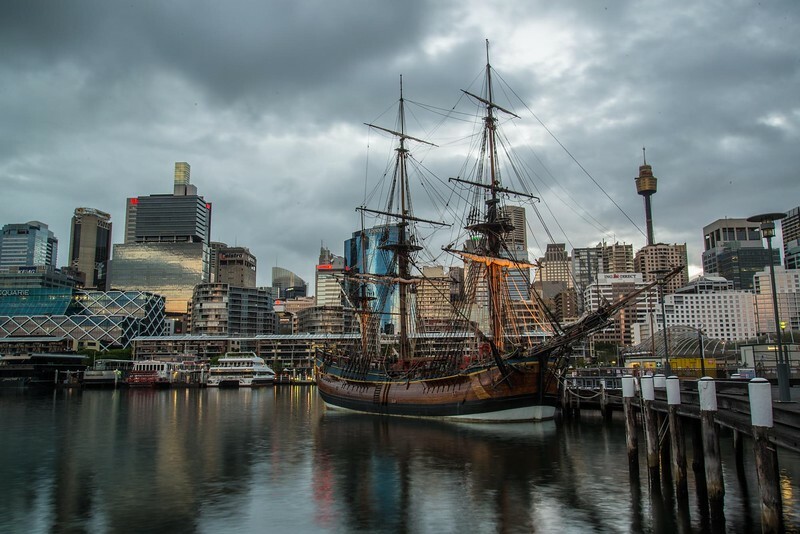 Take a ferry to Cockatoo Island and spend the day exploring the maritime and convict history. The island served as a penal colony from 1839 to 1869, a reform school for wayward teens and later a maritime shipyard. Self guided audio tours are available, and you can also ‘glamp’ the night in a harbourside campsite. Visit St Andrews Cathedral. Located next to Town Hall Station, the Cathedral was consecrated in 1868. There are a number of tourist discount cards available, which may be useful if you are staying in Sydney for a few days. The Sydney Pass offers discount prices on a number of Sydney Attractions. Entry into 7 attractions is $229 adults and $135 children. The Iventure card provides discount entry into many popular attractions from $270 per adult. These are just a few of the many hundreds of fabulous, fun things to do in Sydney. We hope they help you to make the most of your time in Sydney before your cruise. Looking for active travel in Australia? Check out our tips for hiking the Great Ocean Walk, which runs along the southern coastline of Victoria.